Sidney Taylor and Krislyn Gibson were last seen the morning of April 2, 2016 leaving an Austin club with Harvey Cyphers. A man investigated in the 2016 disappearance of two Houston friends has been indicted for allegedly tampering with two corpses. Harvey Cyphers, 52, had been named a “person of interest” in the 2016 disappearance of Sidney Taylor and Krislyn Gibson, both 35. Tried to alter or conceal “blood, biological material, a motor vehicle, a cell phone, text messages, a bath mat, a shower liner, shower curtains and bath towels"
Tampered with the corpses after knowing a murder or assault offense had been committed. Austin police say Taylor and Gibson went to Austin for a festival on April 1, 2016. While there, they called Cyphers, who Taylor had reportedly known for several years. 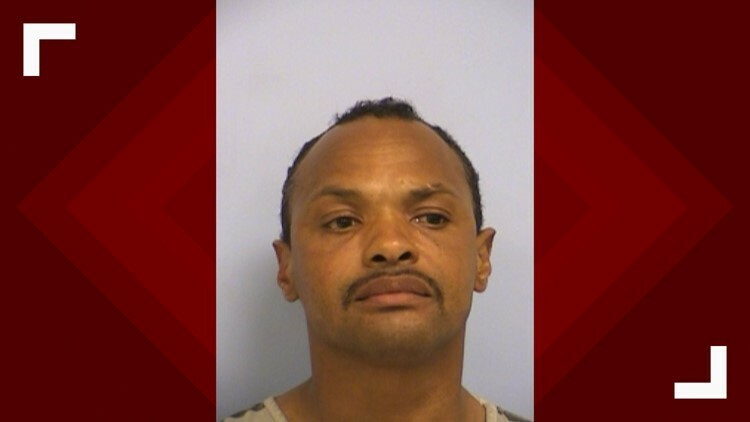 Investigators said the three of them went a club called The Landing Strip and stayed until 2 a.m., when they were seen on surveillance video leaving the club, according to APD Detective Jay Swann. The friend they were staying with called to check on them at 3 a.m., and Taylor told the friend they were with Cyphers. Taylor and Gibson have not been seen since the morning of April 2, 2016. Taylor’s car was later found abandoned in midtown Houston and his cell phone last pinged around Bear Creek Park in west Houston. Eqqusearch volunteers joined friends and family in searching the park for the pair, who had been good friends going back to their days at Aldine High School. Taylor was married with four kids. Gibson had two children, and friends say both were devoted parents who would never abandon their families. Taylor’s mother, Mary Ware, does not believe she will ever see her son again. Ware remembers her son as a loving father, husband, brother, friend and son. Cyphers has been charged with tampering with evidence with intent to impair a human corpse, although no bodies have ever been found. His bond has been set at $100,000. Meanwhile, this is not the first time Cyphers has had trouble with the law. He was convicted of unlawful possession of a firearm in 2001 and convicted of possession of a controlled substance in 1998, according to the indictment. "That's the tough part of it, the mystery of it, not knowing what happened," Josh Gibson, Krislyn's father, said in 2016. "I want my daughter back and I want her back safe." Cyphers has a criminal history. He was convicted of unlawful possession of a firearm in 2001 and convicted of possession of a controlled substance in 1998, according to the indictment. This is still very much an open investigation. Anyone with information about what happened to Sidney Taylor or Krislyn Gibson should call Crime Stoppers at (713) 222-TIPS.